Tia Suarez jumped off the pages in Griffin's brilliant debut novel, Benefit of the Doubt. Now she takes center stage in her own story, A Voice from the Field, a gripping thriller about human trafficking in the U.S.
Gunther Kane and his white supremacist group are using forced prostitution to finance the purchase of automatic weapons. Kane snatches young women off the streets and sells them to hundreds of men. When a victim is used up, she's killed and dumped. After all, there are always more where she came from. Physically recovered from being shot but struggling with PTSD, Tia Suarez almost doesn't believe her eyes when she glimpses a Hispanic teenager bound and gagged in the back of Kane's van. The look of terror on the woman's face makes Tia desperate to rescue her. Kane's in the crosshairs of the FBI, who don't want a small-town Wisconsin detective messing up their big gun bust. Tia Suarez doesn't back down for anyone. Not the department shrink; not the feds who dismiss her; not even her boyfriend, a Marine veteran who thinks she doesn't know what she's getting into. Tia will find the missing teen come hell or high water. 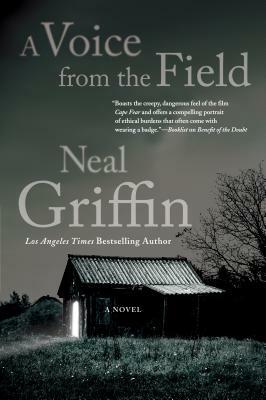 Neal Griffin is a twenty-five year veteran of law enforcement who grew up in the kind of town he writes about. He often speaks about law enforcement issues and police ethics to civilians and fellow cops. Griffin has participated in special training at FBI headquarters. Currently serving in a department in southern California, Griffin is married and has four children. His first novel was Benefit of the Doubt.